Last Wednesday evening I drove to Birmingham for what’s now my forth time working with the Leadership Centre for Local Government as it delivers its programme with Public Health England for Public Health professional working in Local Government entitled: ‘Public Health, Politics & People – Perspectives & Power in the System’. Facilitating the workshop sessions were Chris Lawrence-Pietroni who has co-designed the course and Liz Goold who I was working with for the first time. Also for the first time Cllr. Jonathan McShane from Hackney who is Cabinet member for Adult Care joined, myself and Cllr. Roz Gladden, Cabinet Member for Health and Adult Care at Liverpool Council, whom I have worked with on each of the previous days we have delivered the workshop as a team of Councillors from different backgrounds and political Parties. Whilst Chris and his team refine the programme a little each time and change it around a bit based on the positions and experience of the participants, doing something for the 4th time is quite unusual for Councillors. Usually a paper or policy percolates through the system and you work out how to present it and you do to once, occasionally twice, at say a Cabinet meeting and then Full Council but mostly it’s a one off speech/round of media interviews etc. Thus it presents an opportunity to refine what you say and reflect on the differences of each cohort. 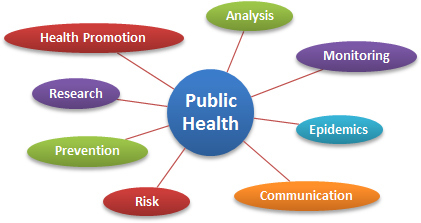 In the few months the programme has been up and running whilst every group is different both in terms of where they are in the hierarchy of public health teams now a part of local government there has in that time been an interesting shift in the conversations and I suspect thinking as the place of Public Health in local Government is rapidly maturing. Equally as you become more skilled at the delivery of the programme you start to develop what you are trying to stress in the sessions and the differences and similarities of Councillors from across the political divide that you are trying to explore. For me one of the mantra’s I’ve tried to stress is that if you meet one politician you’ve met one politician – for we are all different. In some ways defined by our political party allegiances and in others most defiantly not. The great thing about this work is that I personally get as much out of it as the participants for it really stretches your own thinking about the Council you belong to and not so much the Public Health teams, more the mind set of officers and how they view their roles and the careers they have chosen. When I first became a Councillor I managed to get onto what looked like an interesting course entitled Next Generation being run by an organization called the Leadership Centre. What was interesting about it was that it was delivered in political group with a parallel track for Conservative, Labour and the Liberals. As it turns out this course is unique in that there is no other local government training which is party political. As the training offer around local government has changed over the years, with the Leadership Centre becoming a part of the LGA and the LGA have changed its programmes and trainers more times than I care to remember, the Next Generation course remains with its original aspiration of training the next generation of Local Government lead members in a political context. It has also retained its original course leader the remarkable Christina Dykes, part organizer of really interesting course sessions, part champion for the aims of the course, the strengths of the Alumni and on occasion strict time keeper particularly in the morning after too many of us have stayed up in the bar the night before talking politics. Me and Eric, Eric and I – 7 years ago – how time flies! The course is also remarkable in its longevity, it is now in year 8 and each year group, about 20 or so of us, gets to join the alumni. This is now a sizable group of Conservative Councillors in local government and amongst it’s members it has a number of Leaders, former Leaders, deputy Leaders and a lots of Cabinet members for this and that service, spread across the whole of England. In terms of political friends and experience of local politics I have found the original course, follow up meetings, shared experiences and discussions to be the best resource I have come across. Last Wednesday I attended the Alumni annual get together where the 7 years cohorts of Conservative Councillors come together to discuss local government and anything else that takes our fancy. 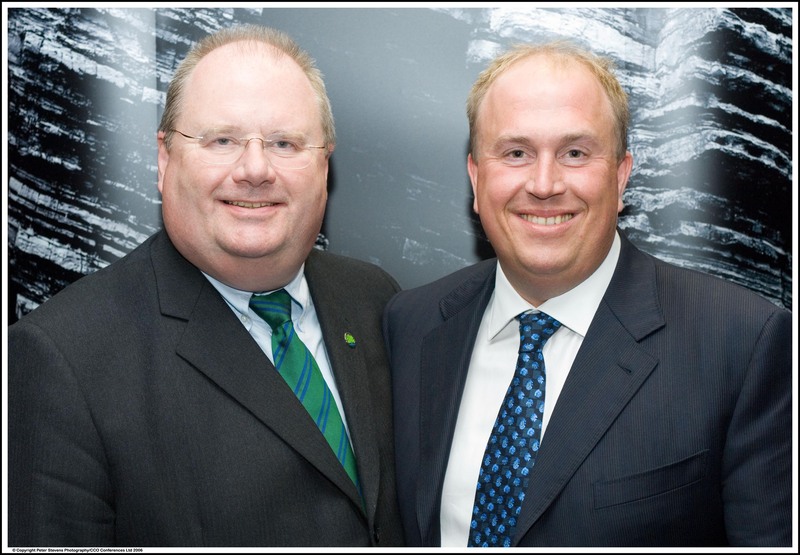 I can’t believe it was some seven years ago in the bowels of the BIC centre in Bournemouth, that I first met Christina and became a member of its inaugural first year cohort launched with the seal of approval from the then Chairman of the Party Mr. Eric Pickles. The picture on this blog is from that launch where we all had our picture taken with Eric. Mind you both Eric and I had more hair and I think we were both a touch lighter on our toes in those days! On Saturday I attended the Next Generation Leadership Centre Alumni event where those who have worked with Christina Dykes on a yearlong journey to better understand the role of Councillors as political leaders come back together to discuss the topics of the day and feed into national Politicians, on Saturday we were joined by Bob Neill MP and we had our usual lively debate. There is a wonderful programme of training offered on every connectible subject for Councillors from the LGA but for all its strengths it is all entirely a-political in fact every session starts a bit like an AA meeting with the two basic rules ‘Chatham House’ and ‘we must not be political’ stated, chanted and agreed. The great strength of the Leadership Centre for Local Government is precisely that it is different it’s training is entirely political delivered in three stream one Conservative and two other’s; one something to do with how best to sit on the fence and the other focussing on spending all the money in the good time and saying nothing to do with us gov’n now that it’s all gone wrong. On Saturday amongst the many subjects we explored we discussed the almost unbelievable news that some Conservative controlled Councils are putting up their Council tax and not taking up the rebate offered by the Government. To my mind this is quite simply staggering; in these difficult times government has offered to help and we should take it up. We all know that we cannot continue to offer 0% forever as each year this is in fact a cut after inflation; this year Suffolk’s 0% is more like a 3% cut. In my own Council, officer talk about the business of the council and that 0% is unsustainable but we are not businesses we are Councils and our role as Councillors and politicians is to be demanding in the way we hold the Councils to account. As politicians we are here to represent our communities and my community tell me load and clear the best thing I can do to help them in these difficult time as they try to balance their household budgets is to keep Council tax down, this is also the number one fear of my older residents who struggle to live on their pension as it is. I utterly reject the notion of putting up the Council tax this year and am extremely proud that Suffolk Conservatives are so demanding of the organisation that it is making savings; the majority of which are in the back office rather than hurt people in these difficult times by putting up Council tax. There are many aspect of being a Councillor that have nothing o do with politics but I say there are just as many that are political and that defining what it means to be a Conservative, Liberal Democrat or Labour Councillor is just as important as learning community leadership, in fact I would say it was an integral part of community Leadership. There are great rumblings as to what the future holds for the Leadership Centre, I for one hope it can flourish and deliver more training courses some long, some short, all focused on being political. I have known Baroness Margret Eaton since I was introduced to her by Christina Dykes in the Conservatory room at the BIC in Bournemouth when I was lucky enough to be picked to be a part of the Leadership Centre for Local Government, Next Generation Programme’s first year cohort. Since then I have meet her on many occasion most notably when we went out canvassing in a Leeds ward after a CCA conference at Oulton Hall. In her time as first Chairman of the CCA then in her role as Chairman of the LGA she has steadfastly sort to promote the role of Local Government, I have found her to be very personable and charming, and always felt that she had a strength of character and determination to well represent those she has been elected to. She will be sadly missed as she spends more time on the red leather benches of the House of Lords. 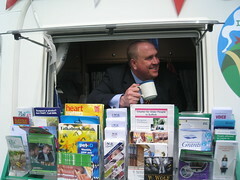 A few days ago, the Leader of Leicestershire County Council, David Parsons through his hat into the ring on Conservative Home and I, like most, waited for David Shakespeare to do the same, but it appears he had more domestic matters to attend to and I hear he lost the Leadership of Buckinghamshire, which was a surprise, but after 10 years in post often groups seek a change. The other known candidate is Sir Merrick Cockell, Leader of Kensington & Chelsea, who until this year was the Chairman of the Conservative Councillor’s Association. I have met and chatted with them both and watched as David Parsons has carved out a role for himself at the LGA on leading the improvement side of things and Merrick Cockell steered the CCA as its Chairman as the party focused on winning at Westminster. I also know David Sparsons, my opposite number in Leicestershire quite well and he speaks highly of his Leader. The past year has been a remarkable one for the LGA as it has sort to forge a new relationship with a Conservative Sec of State in the formidable Eric Pickles MP and at the same time I have rarely hear such dissension in the ranks of its performance, not so much about it relationship with Eric Pickles but more its relevance in the new order, which is some ways is a little short sighted. A number of Councils have served notice to quit and I think the organisation is having a real battle to define its message and indeed usefulness. Personally I think that the LGA needs to elect David Parsons, as Merrick, whilst a fine chap is, I believe, perceived as veryLondoncentric. He may argue otherwise but this perception comes from his time as Chairman of the CCA and as we know the vast majority of the Councils and particularly Conservative controlled ones are simply outsideLondon. Many councillors I speak to question the value of this alreadyLondoncentric organisation and its cost of membership. If indeed it does electMerrickthen I think a number of County Councils will look towards other organisations for a voice after all the £100,000 fee, in this day and age is not an inconsiderable amount of Council tax payer’s money.